If you can’t get to the game this weekend in Kettering here’s an opportunity for you not to miss out on the game. 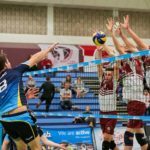 Volleyball England will be streaming the National Cup Finals LIVE this weekend. The finals are the conclusion to a fantastic season for many senior and junior clubs.